Ebony Williams: Friends Helping Friends! Hope you guys are having a fantastic Tuesday!! This blog is about friends helping friends! And when you have a big network or building one, everyone can use a shout out! Right? Whether you're an upcoming business, musician, dancer, artist of any sort etc. This blog goes out to a specific friend and what she is doing that is absolutely phenomenal. Karissa is an amazing person with an even bigger voice! From ALASKA to BALTIMORE she is making moves that not only help her, but she's also reaching out to help better Baltimore. Will you help? 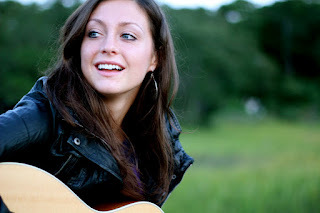 Check her out at http://www.indiegogo.com/wearethesounds.... watch the video for more information :) You go girl! ** I've already donated, and will donate more come $ day. I'm all for supporting great causes especially when people I know are pushing as well.